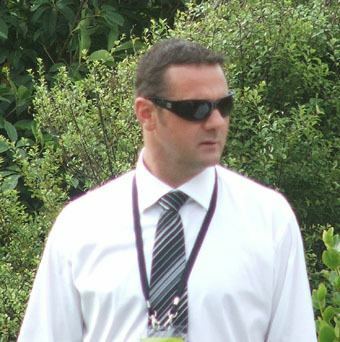 Simon Blair Doull (born 6 August 1969 in Pukekohe) is a New Zealand radio personality, commentator and former international cricketer. He was a right arm medium pace swing bowler, and played in 32 Test matches and 42 One Day Internationals for the New Zealand national cricket team. Doull took his career best bowling figures of seven for 65 in the Boxing Day Test in 1998 against India at the Basin Reserve in Wellington. Due to that performance, he reached a career-high ranking of 6 in the ICC Player Rankings on 26 December 1998. Doull suffered persistent injuries throughout his career, including numerous back problems and a career-threatening knee injury during New Zealands 1999 tour of England. Currently, Doull works as a cricket commentator for New Zealands SKY Sports. Until recently he was part of the Morning Rumble team on the radio station, The Rock. He is the younger brother of Lincoln Doull, who played for Wellington in the early 1990s.